Do your kids like exchanging Valentine’s cards? It’s almost time again, and I don’t yet know if we’re going to get around to crafting our Valentine’s cards again this year. Last year, E wasn’t into crafting, so I made a Printable I Spy Valentine’s Card that I only needed to print out for her large preschool class. This year, we still have a little time to get our craft on, but E is currently sick, so in order to make sure that I can get something ready at the last minute, I designed a few different printable Valentine’s cards just in case. 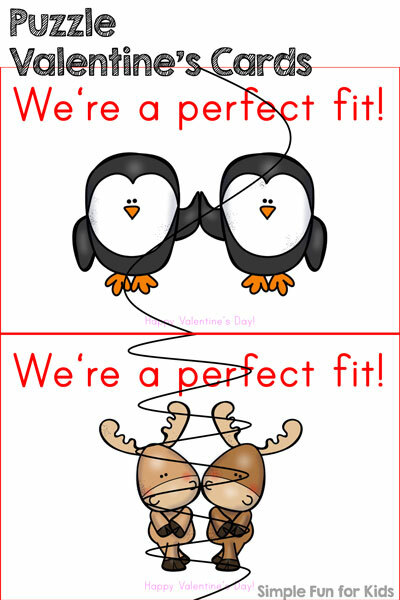 Here’s the first idea I had: Printable Puzzle Valentine’s Cards! 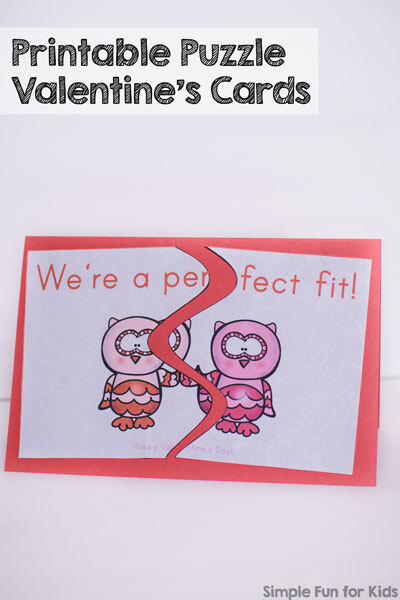 The printable includes 12 different designs of puzzle Valentine’s cards. There are puppies, owls, birds, hippos, bunnies, teddy bears, elephants, cats, pigs, mice, penguins, and moose. Click on the “Buy Now” button below to purchase this printable for USD 1.00! No matter where you are in the world, PayPal will take care of the currency conversion for you. This is a non-editable pdf file, make sure you have the ability to open this file format before you make a purchase! Please note that there are no returns or refunds on digital items! 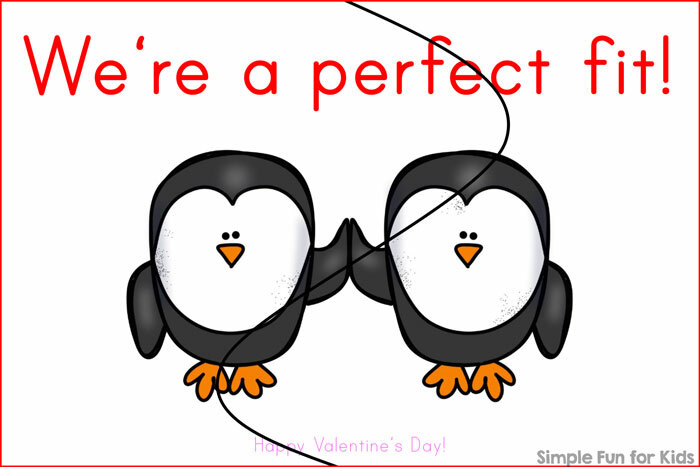 Looking for More Printable Valentine’s Cards? Printable Valentine’s Cards for Kids: Sucker for You by Crystal & Co.
30+ Printable Non-Candy Valentines by I Can Teach My Child!